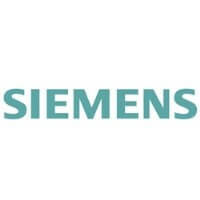 Siemens Recruitment 2019 scheduled for the role of Junior Specialist for B.Com graduates at Bangalore Office & Engineer – Sales Support for B.E/B.Tech graduates at Gurugram Office. The detailed eligibility criteria and application process are given in below. You are a commerce graduate with good communication and computer skills (SAP, MS office). You are flexible to rotational shifts. You analyze the GRIR (Control account) open items and take necessary actions to clear the same. You work SCM (Supply Chain Management) internal teams/Quality audit teams and assist the FSS-SCM management to maintain high accuracy and efficiency. How to apply for Siemens Recruitment? Multitasking & should be able to work & perform under time pressure. Responsible for Bid Preparation for Metro Electrification Tender. Work closely with Bid Manager and Bid team and support team by providing support for overall Proposal & able to handle entire Bid Process. Responsible for Technical and Prequalification Offer preparation for complete tender, including preparation of deviation & clarification on Customer Tender Specification. Responsible for preparation and providing inputs for PM@Siemens LOA Process. Responsible to manage the Bid @ LOA and EPIQ Tools. Co-ordinate with SCM, commercial, Legal, Engineering, Project management, Quality management teams for respective inputs. Support Bid team for coordination with Engineering, Project Management & Procurement team for any Clarification during Bid stage.